Cherry large underbed hanging box pictured on cherry bed, with sliding dust cover. 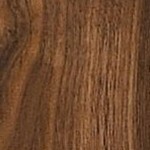 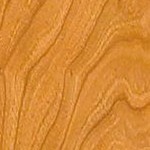 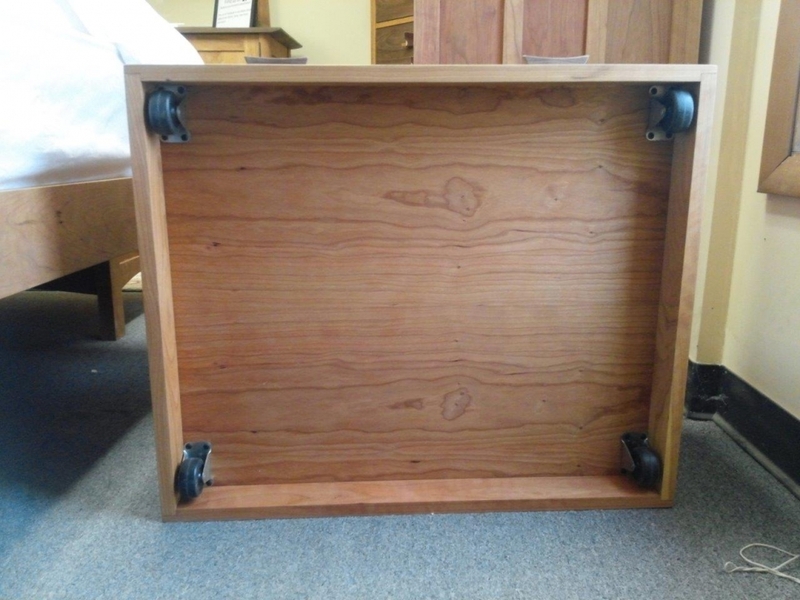 22"D x 26.125"W x 8.5"H. Order in pairs, specify knob/pull/wood desired. 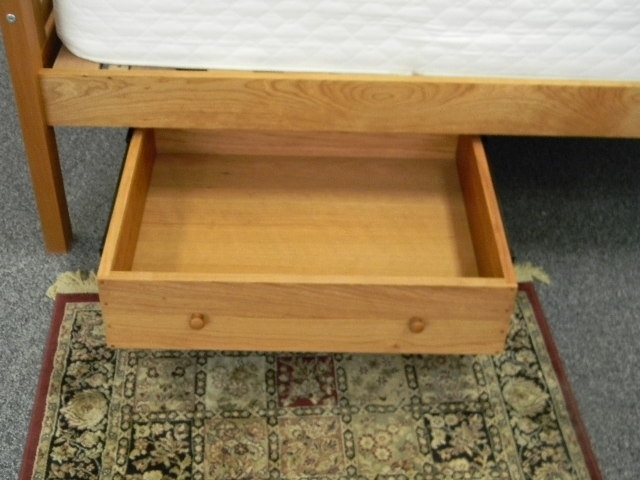 Order with beds having 12.5" clearance. 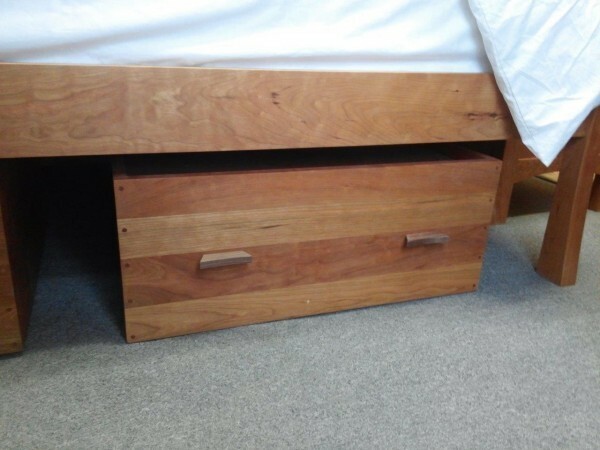 Underbed hanging boxes pictured on a cherry Cable Crossing queen bed. 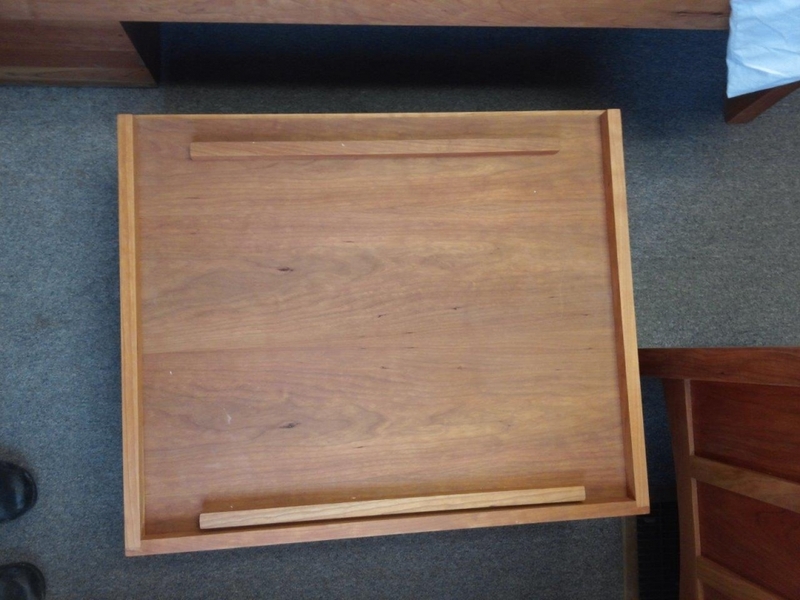 Large box 22"D x 26.125"W x 8.5"H shown on left, small box 22"D x 26.125"W x 6.5"H on right. 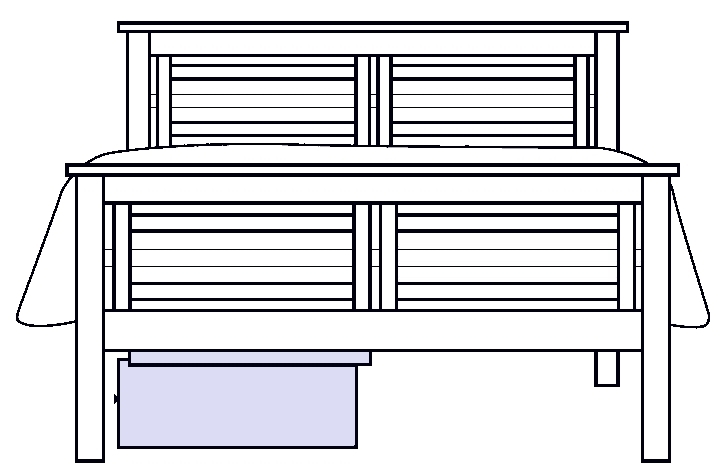 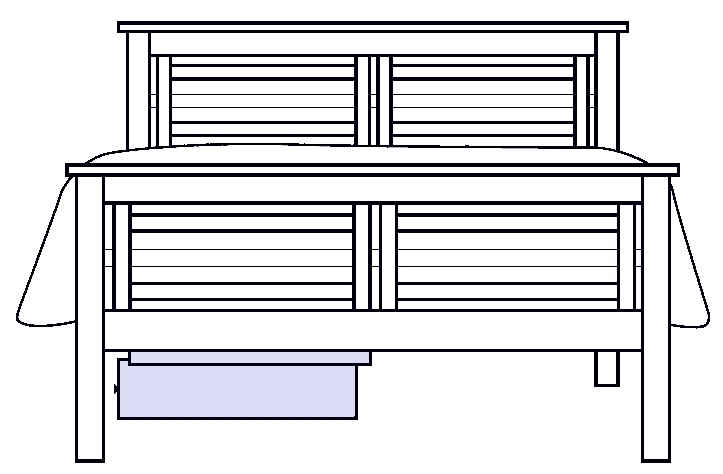 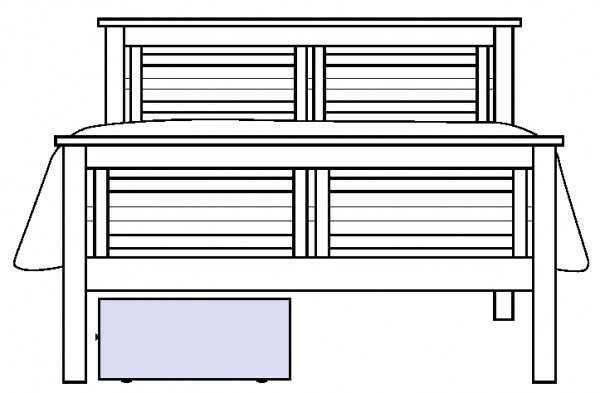 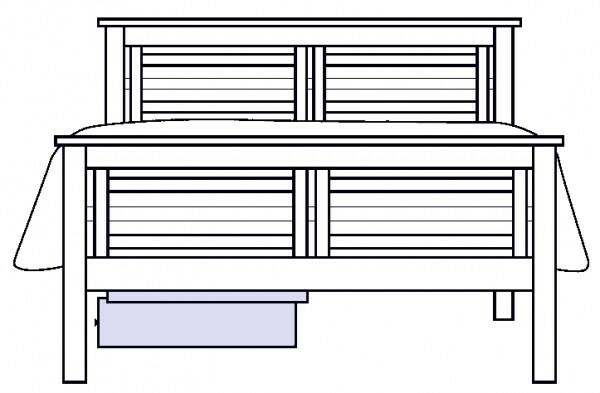 Drawing of large underbed hanging box, with sliding dust cover. 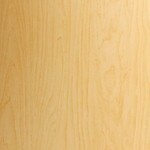 Hangs from bed frame. 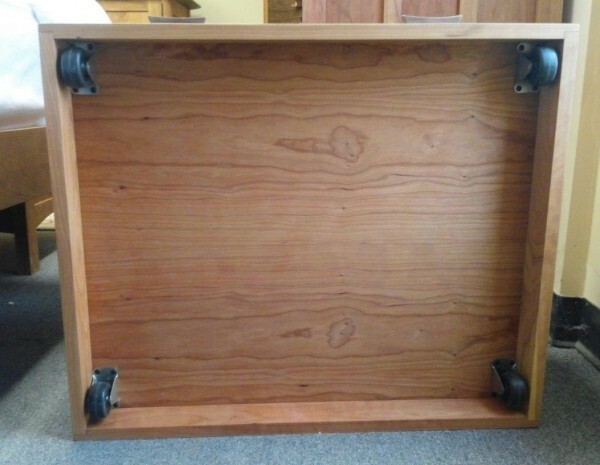 22"D x 26.125"W x 8.5"H. Order in pairs, specify knob/pull/wood desired. 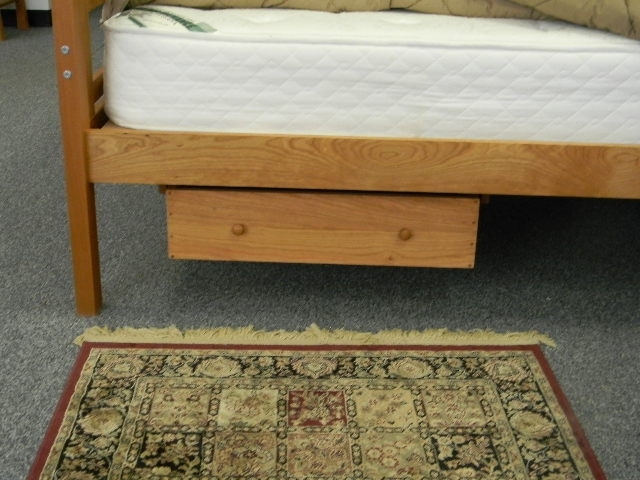 Order with beds having 12.5" clearance. 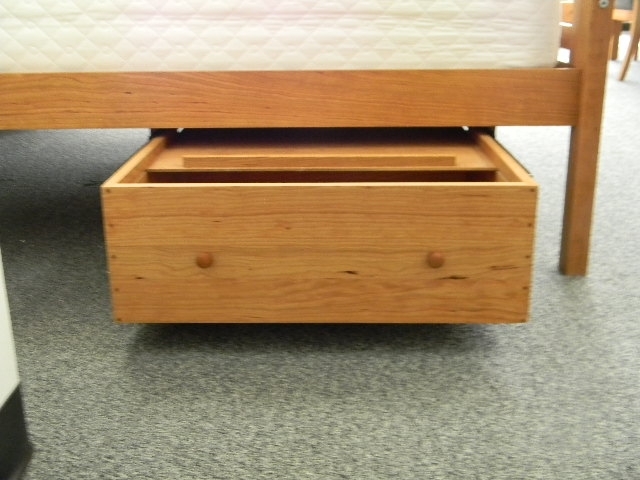 Cherry small underbed hanging box shown on cherry bed. 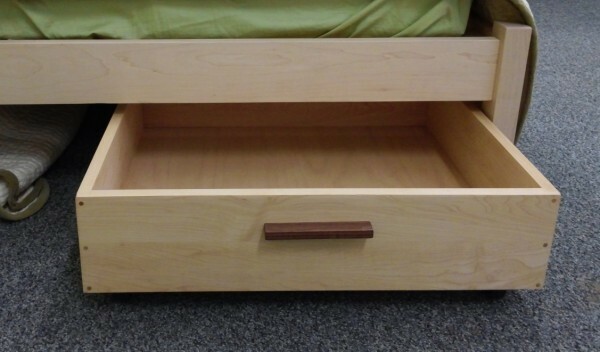 22"D x 26.125"W x 6.5"H. Order in pairs, specify knob/pull/wood desired. 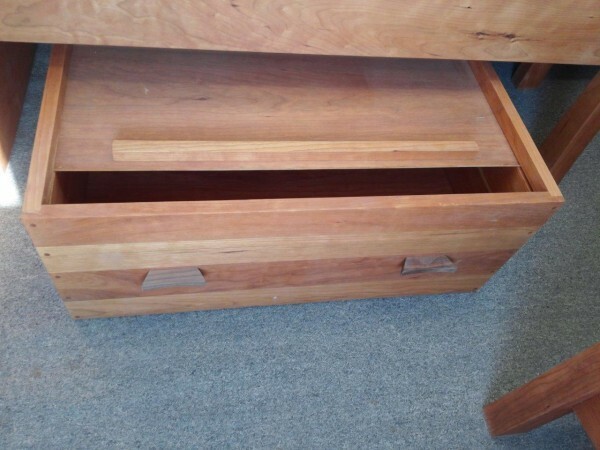 Cherry small underbed hanging box shown opened. 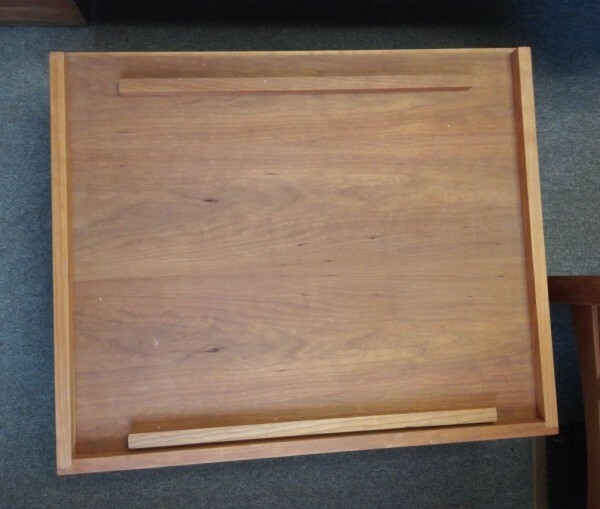 22"D x 26.125"W x 6.5"H. Order in pairs, specify knob/pull/wood desired. 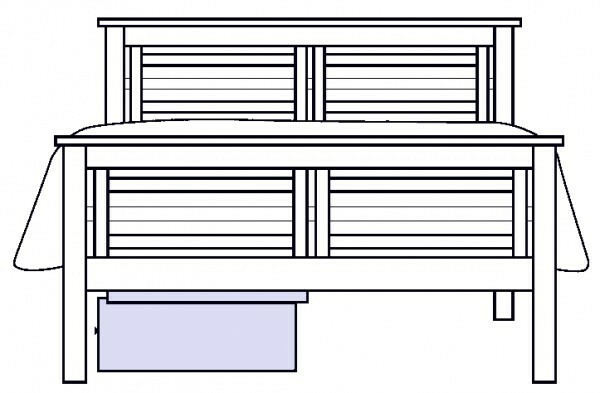 Drawing of small underbed hanging box. Hangs from bed frame. 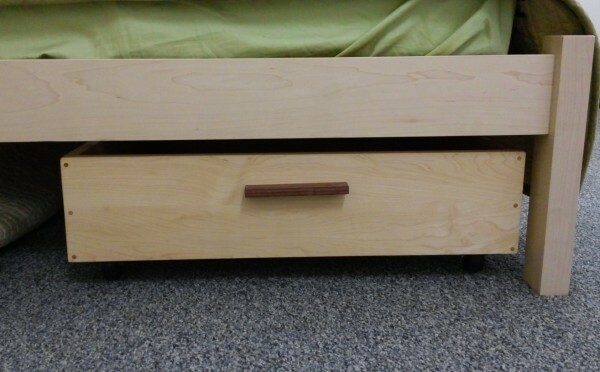 22"D x 26.125"W x 6.5"H. Order in pairs, specify knob/pull/wood desired. Order with beds having 10.5" clearance. 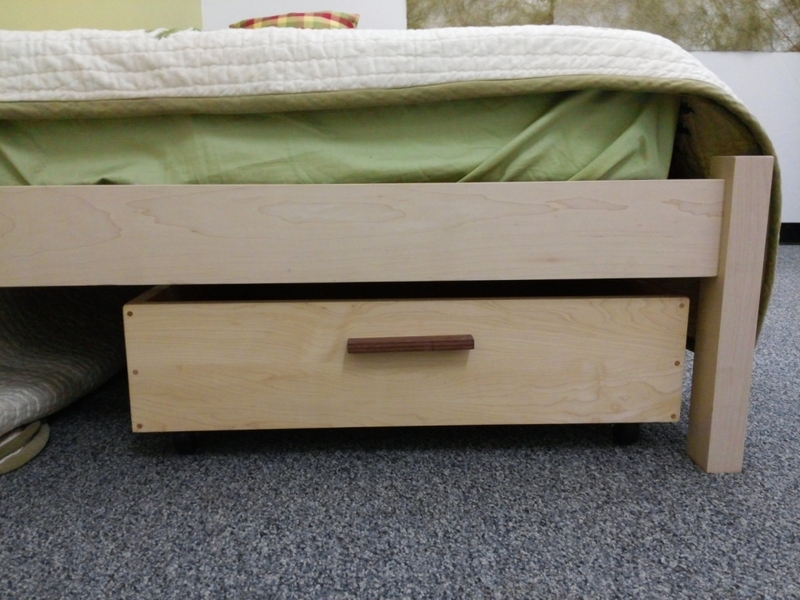 Custom maple small underbed rollbox with walnut loft pulls. 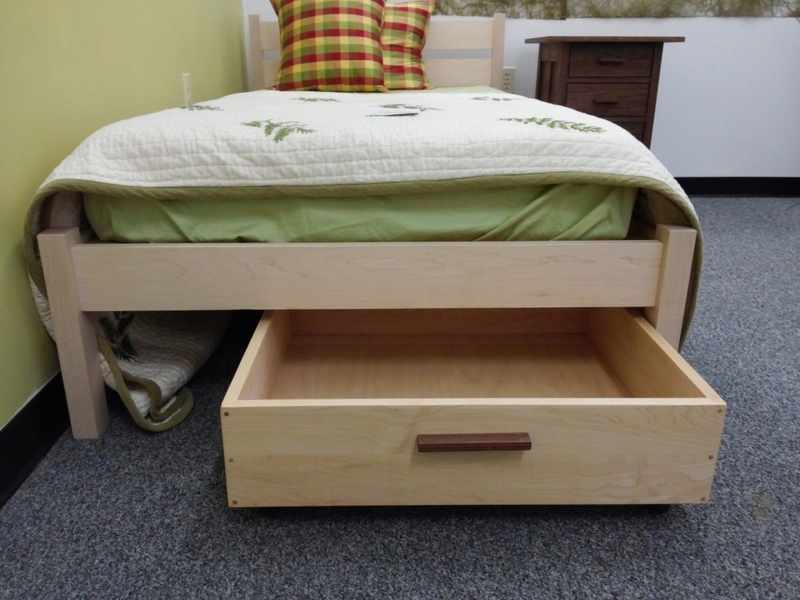 Box size is 22"D x 27"W x 6.5"H and is pictured under a twin unfinished maple Sutton bed.